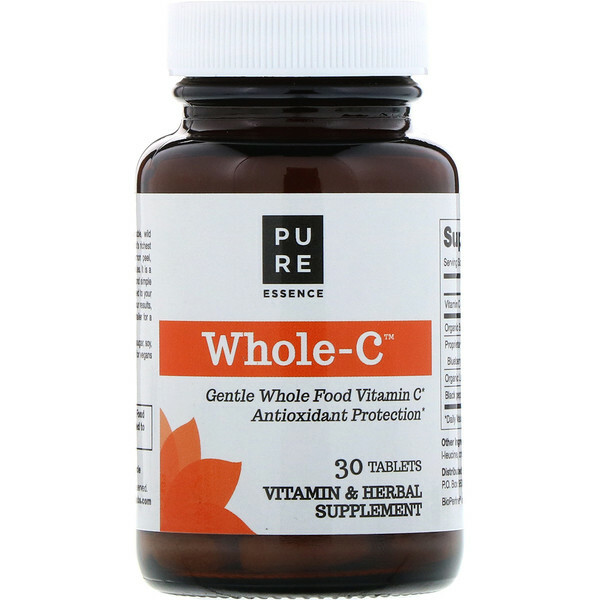 Whole-C is a whole food concentrate made from eco-sustainable, wild crafted camu camu berries from the Amazon rain forest (the world's richest source of complete vitamin C complex), buckwheat sprouts, lemon peel, elderberries, cranberries, blueberries, raspberries, and pomegranates. 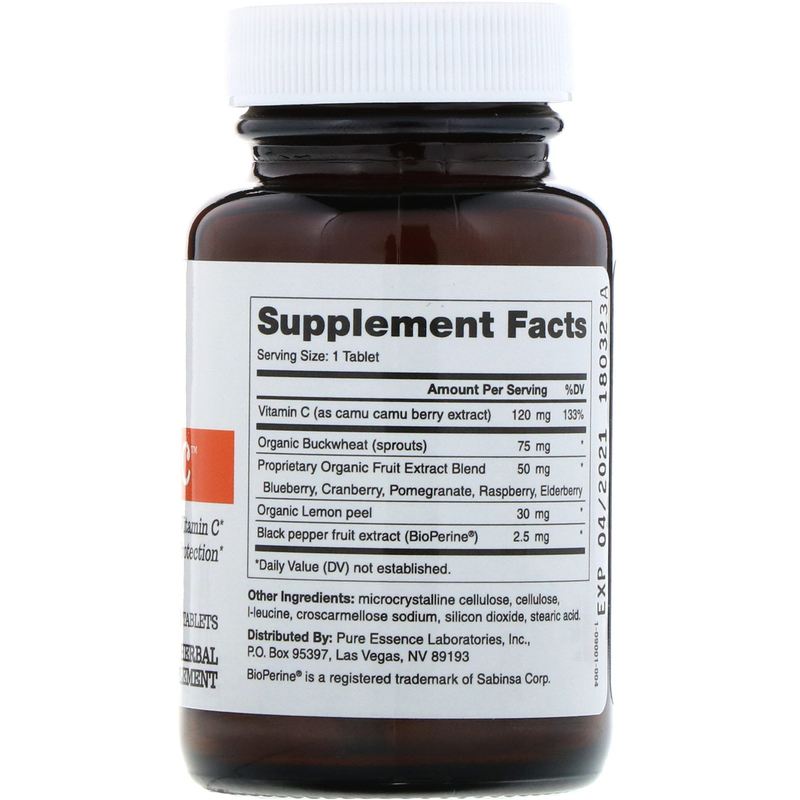 It is a potent source of whole food vitamin C complex that is words beyond simple ascorbic acid supplements. Because of this, Whole-C is guaranteed to your complete satisfaction. One tablet per day, preferably with meals. Microcrystalline cellulose, cellulose, l-leucine, croscarmellose sodium, silicon dioxide, stearic acid. Whole C does not contain artificial colorings or flavorings, GMO's, sugar, soy, yeast, dairy, wheat, peanuts, tree nuts, or shellfish, and is suitable for vegans and vegetarians.